Every night I'd leave the Valley right before sunset. The images, the sights often had me in complete visual overload- I really need more time to digest these images. It's been almost a year and I jus took another look at some of my images. And even today I still get chills thinking of how Valley View was beyond Iconic - it was a moment I'll never forget. This image I captured is called " The Giant" - it was taken in Valley View at sunset - there were prob 100 of us Photographers here each evening at sunset. I'll never forget jumping over moss mud covered rocks- crouching in mosquito beds - not blinking for fear I would miss one second of the Giant as he fell into nights sleep. 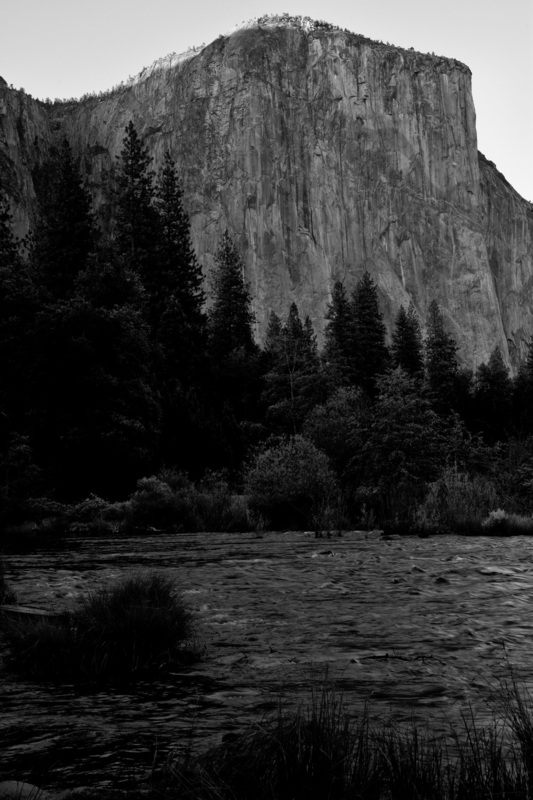 To be standing where Ansel Adams one stood attempting to capture more then a image. The beauty of the Muir Woods will forever be in my soul. As a seeker of images I was mesmerized by these woods. The shifting patterns of light, the cedar aroma the warmth of tree life all of it encaptured my eyes my ears my heart.